Lucia Avany, M.D. (Brooklyn) - Book Appointment Online! Welcome to Avany Medical. 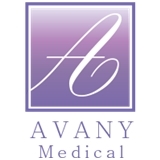 Avany Medical was founded by Dr Lucia Avany in 2010. With many years of experience in both Russia and the United States, Dr Avany and her team will provide excellent, caring and high quality health care to you and your family. We treat all our patients with the vigor and attention that they expect from us, and we understand that different patients need different approaches. This philosophy coupled with the quality of our work, helps build trust with our patients, which is an essential factor for a successful treatment. We accept all major insurances as well as Medicare and Medicaid.